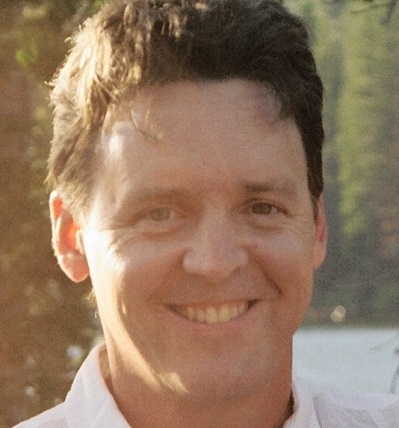 Josh Fodor, Founder and Lead Ecologist, has 26 years experience in organic horticulture, habitat restoration and ecological landscape design and implementation. After completing degrees in Biology and Environmental Studies at U.C. Santa Cruz and working for 5 years in organic agriculture, he founded the company in 1992. Early on he combined his interest in organic production methods with his botanical skills to create the first registered organic native plant nursery in California. 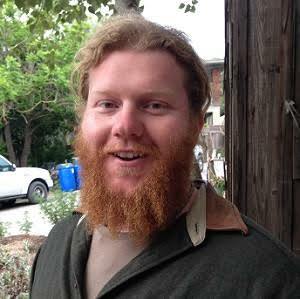 Josh leads design and implementation of ecological landscape plans, vegetation management plans and habitat restoration plans throughout California, particularly in the San Francisco and Monterey Bay Areas. 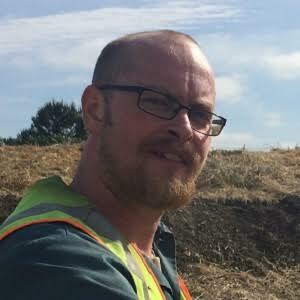 Over the last decade, he has continued his professional training in erosion control, stream restoration, watershed assessment, wetland delineation, and ecological landscape management techniques. In 2006, Josh completed an extension certificate in California Water Management and Ecosystem Restoration at U.C. Berkeley. In 2008, Josh became a Certified Professional in Erosion and Sediment Control. 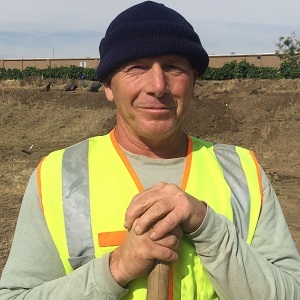 He teaches Principles of Restoration Landscaping at Cabrillo College and is an active member of numerous professional associations including the Ecological Landscaping Association, California Landscape Contractors Association and the Society for Ecological Restoration. 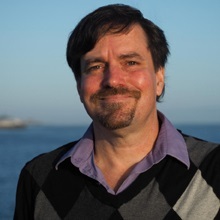 Jon Laslett, Senior Project Manager and Ecologist, received his BS from the University of California at Santa Cruz in 2003 with a double major in Ecology and Evolutionary Biology, and Marine Biology. He has worked on ecological monitoring, conservation, and restoration projects from Baja California to the Aleutian Islands. He also has a background in conventional construction and landscaping. 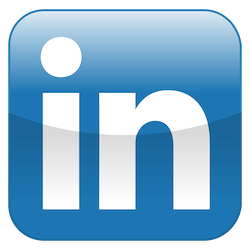 In January 2007, he found a way to effectively combine these two skill sets as a project manager and ecologist at Ecological Concerns Inc. Since then, he has been responsible for successfully designing, estimating, implementing, maintaining, and monitoring restoration projects and ecological landscapes throughout the Central Coast. Joe has 25 years of experience working in habitat restoration and environmental consulting. He joins the ECI team to assist clients in navigating many local, state and federal requirements for environmental compliance. Joe performs biological assessments, wetland delineations, and restoration monitoring. He writes restoration plans and impact analysis for a wide variety of projects. 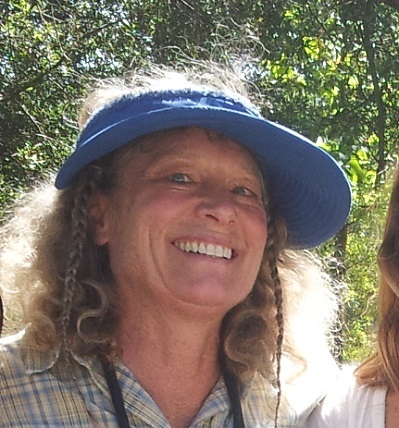 Ellen Uhler, Senior Botanist, began working at Ecological Concerns Inc. as a volunteer in 1996. Her aptitude became readily apparent as she quickly learned the arts of native plant identification and propagation. Ellen leads the company’s botanical consulting work, performing floristic surveys, rare plant monitoring, and restoration project performance evaluations. She has also managed hundreds of site specific seed collection and native plant propagation projects. Her ongoing botanical studies often focus on Cyperaceae (Sedges), Salicaceae (Willows), or the alpine flora of the Sierra Nevada. 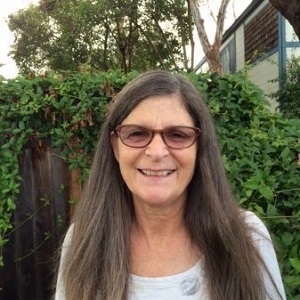 As an active member of the California Native Plant Society, she has volunteered to help set up the Pacific Grove Wildflower Show annually since 1997. 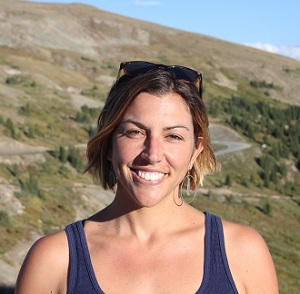 Sheere has a decade of botanical sales knowledge and habitat restoration experience. She started her career as Central Coast Wilds Nursery’s lead propagator. After a few months, she quickly advanced to become the nursery’s sales manager helping customers understand watershed specific plant requirements for local projects. In 2015, she transitioned to Ecological Concerns’ design build division to help with business development and continued company growth. Her passion for local watersheds and the environment is what drives her to continue sharpening her skills and assisting customers in receiving the best services ECI and CCW has to offer. John is a restoration ecologist with a degree in Environmental Management and Protection. He has recent experience coordinating field operations for large riparian and wetland restoration projects. He is responsible for coordinating all project submittals, RFIs, materials acquisitions, equipment scheduling and compiling daily job logs and safety reports. John is also a certified arborist. Cindy grew up in the Northern Sierra and studied Earth Sciences at the University of Nevada, Reno. She began her botanical career working with nurseries in the Tahoe Basin and joins us with a strong background in nursery management and a passion for California’s native flora. Upon moving to Santa Cruz in 2005, she managed Far West Nursery until 2011. Since that time, she has managed multiple concurrent native plant contract grows at CCW with tens of thousands of plants each, including collection of site specific propagules. Her botanical and horticulture education comes in part from working at the UCSC Arboretum and attending workshops with CNPS and Jepson Herbarium. 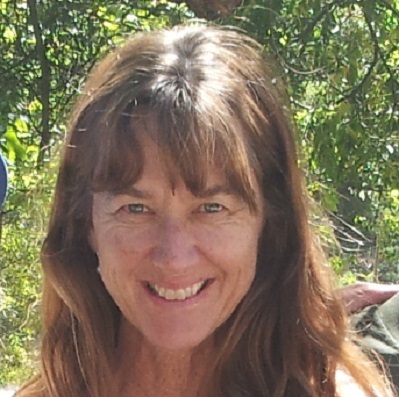 Her experience includes seed collecting in California, New Zealand and Australia, vegetation surveys along the central coast and preparing herbarium specimens from field collections. Garrick is a UC Santa Cruz graduate with a B.A. in Environmental Studies and a minor in Earth Sciences. He has worked at ECI for over 5 years and has worked his way to the top of the team. 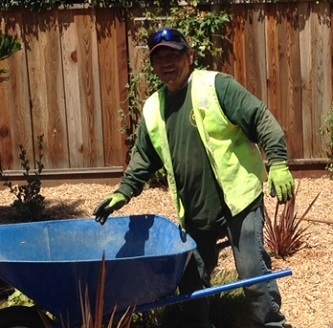 With experience in landscape construction, habitat restoration, and rainwater harvesting, he is a valued crew leader. 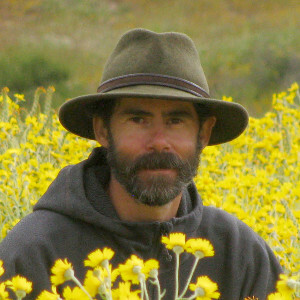 He has a bounty of certifications and training including an American Rainwater Catchment System Association (ARCSA) certification, Green Gardener certification, holder of a Qualified Applicator License (QAL), Mine Safety and Health Administration (MSHA) certification, and an Occupational Safety and Health Administration (OSHA) certification. 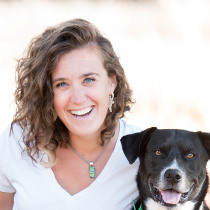 Jessica is a landscape designer and project manager with a wide range of experience in ecological site design. She received her certificate in Landscape Architecture from UC Berkeley Extension and focuses on creating cohesive sustainable environments for residential, commercial and restoration projects. With experience in permaculture and specialized training in rainwater harvesting and greywater use, she designs alternative water systems in hopes to improve stormwater runoff in our watershed. Rita Manna is a designer who specializes in both the Graphic Design and Landscape Architecture professions. She has achieved a Bachelor of Fine Arts degree with a concentration in Graphic Design from the University of Connecticut, a Masters of Landscape Architecture degree which concentrated in Environmental Justice and Ecological Restoration from Colorado State University and is also a certified Permaculture Designer. With this diverse skill set, Rita understands how to create an impact beyond the screen and into our living world. Over the last 15 years, she has worked with teams both large and small to create landscapes which are restorative, memorable, functional, and rejuvenating. Her wide range of design experience allows her to relate to our clients to create meaningful, applicable, and heartfelt designs of all sizes. Spencer joined ECI soon after working for Barry Swenson Builders as a project engineer. 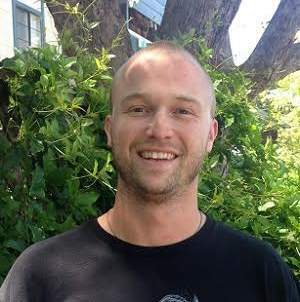 He worked helping coordinate many local green construction projects around Santa Cruz. He is proud of his background as a LEED certified construction superintendent who organized submittals, materials orders and field crews for efficient implementation of beautiful projects. His interest in landscape construction comes from close family ties to landscape architecture. Forrest has been working in the landscape industry for over 6 years. His experience varies from the maintenance and construction of golf courses to removing acres of turf for the Army Corps of Engineers. He has a Master Gardeners Certificate through the University of California. He is also certified in Construction Quality Control Management through the Army Corps of Engineers. Leopoldo has extensive hands-on experience in habitat restoration and native plant horticulture. He has six years of experience performing every aspect of riparian habitat restoration and maintenance on large projects throughout the region. He leads workers in the proper and efficient implementation of all phases of project installation and maintenance including invasive plant removal, erosion control, installation of native species, installation of temporary irrigation, truck watering and plant establishment period maintenance. Leopoldo is also a skilled equipment operator. 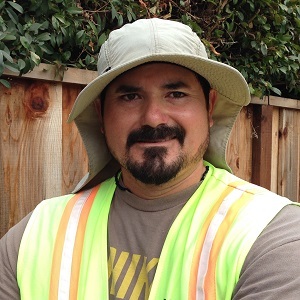 Rafael is a certified Green Gardener and Irrigation Technician with extensive hands-on experience in habitat restoration and native plant horticulture. He has eight years of experience performing every aspect of riparian habitat restoration and maintenance on large projects throughout the region. He leads workers in the proper and efficient implementation of all phases of project installation and maintenance including invasive plant removal, erosion control, installation of native species, installation of temporary irrigation, truck watering and plant establishment period maintenance. Kevin started his horticulture career early by working on his grandparent’s farm. From there, he spent time working in a number of farms and nurseries including an organic farm in Maui and at the Berkeley Horticultural Nursery. 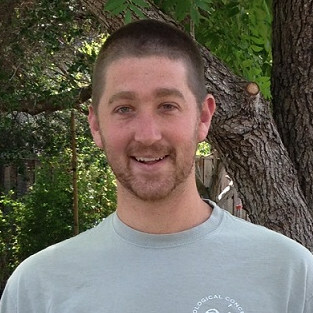 Kevin has amassed 10 years of nursery experience and over 15 years of landscape leadership. He is a self-taught horticulturist with a personal library of over 500 books and reference guides. 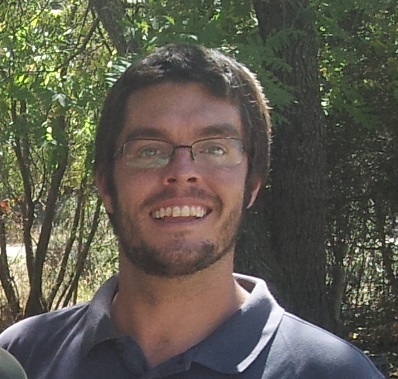 Aaron received a BA in Environmental Studies from UC Santa Cruz with a focus in Agroecology. He has over twelve years of experience in the field of natural resources, habitat restoration, and biological monitoring. Aaron also owned and managed an organic vegetable farm for five years in Southern Oregon. Over the past year while at CCW, he has been responsible for propagating thousands of native plants from seeds, cuttings and divisions.